Healthy, youthful, and radiant skin is what every human craves for. Fortunately, our wish to defy the works of time and have firm and flawless looking skin is no longer an unattainable dream. The world of skincare was revolutionized upon the advent of anti-aging skin treatments such as anti-aging serums, creams, facials, etc. Anti-aging facials are just like any other facial involving cleansing, toning, exfoliating, and moisturizing except the only difference being the products utilized for the treatment. The Anna Aesthetics exclusive Anti-aging facials use products that cater specifically to mature aging skin. 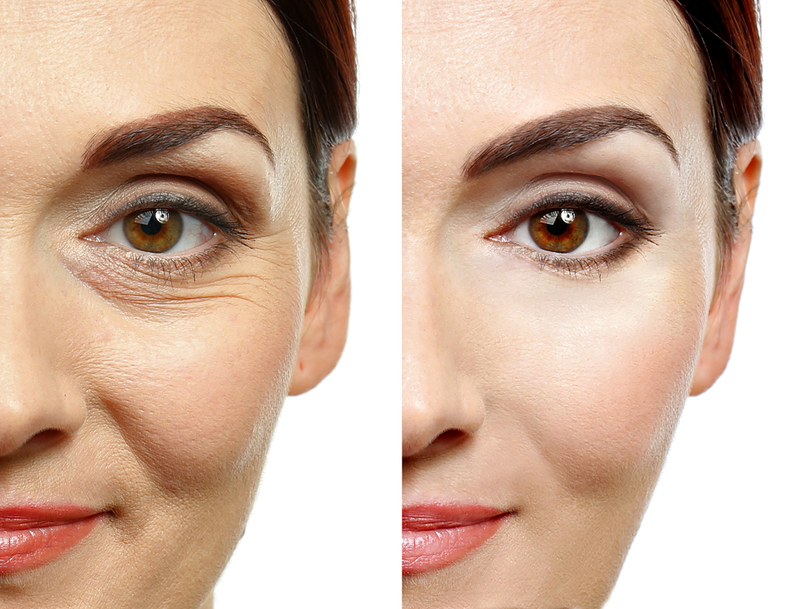 As we age, our bodies produce less collagen and elastin. Collagen helps with skin plumping while elastin enables the skin to become firm. The resultant of this progressive decrease in collagen and elastin manufacture is thinner and dryer skin. As the skin is continually exposed to harsh environmental conditions, it will experience drastic changes. Owing to the reduction of these two substances in the body, there is decrease in skin plumpness along with the subsequent appearance of fine lines and wrinkles. Young cells being manufactured at the bottom most layer of the skin take time to make their way up to the outermost layer. This compensation delay makes the skin appear dull and aged. Anti-aging protocols may include topical ointments, chemical peels, collagen masks, anti-aging serums equipped with special ingredients such as hyaluronic acid and antioxidants like vitamin C. Anti-aging treatment uses mostly vitamin-based products that penetrate well deep into the skin. Another mode of treatment utilizes ultrasounds and electric currents in conjunction with anti-aging products which are used to push product into the skin. At Anna Esthetics you can find the best anti-aging facials that will allow your skin to look young, radiant, and glowing. Apart from simply combating wrinkles, anti-aging facials reap multiple benefits. They are an excellent way to improve complexion and reduce fine lines. Following are some of this treatment most noted benefits. Exfoliation sloughs away dead worn out cells and uncovers younger looking skin that lies underneath. Every facial involves skin exfoliation with a scrub but with these, the stakes are much higher as facial buffing tool, Ultrasonic facial scrubbing device or microdermabrasion is used in conjunction with the normal scrub. Skin tends to exhibit increased dryness as it ages. Rough patches and flakiness around the jaw, cheeks, and forehead are relatively common presentations. Facials using hyaluronic acid and thick moisturizers are the ones that will help rejuvenate dehydrated skin and help keep it hydrated. Increased blood circulation results as the face is gently massaged with products. This improves blood circulation which in turn makes the skin look more even, smoother and you facial structure more defined. Anti-aging facials that include glycolic acid treatments, collagen-infused serums, and hyaluronic acid can restore the skin’s firmness and reduce the appearance of lines and wrinkles. You don’t necessarily need to have wrinkles to benefit from an anti-aging facial. . These facials will keep your skin looking youthful and beautiful, and may ward off many of the signs of premature aging. As mentioned above, anti-aging facials and regular facials do not differ much in terms of procedure. The only actual difference is that of the products utilized for the procedure. Starting off with basic cleansing and toning, the skin is carefully analyzed to assess the client’s skin type as well as individual needs. Once assessed, the skin is subjected to steaming and subsequent exfoliation. Following exfoliation, a soothing collagen anti-wrinkle mask is applied to the skin. This is followed by a RF massage that helps rejuvenate and replenish the skin. An anti-aging serum is then applied and gently massaged into the skin to ensure deep penetration of the product. A lifting-up cream application follows to avoid sagging of the skin. Once finished, there is a final application of SPF. Unlike intense and grueling cosmetic surgical options, anti-aging facial treatments are safe, gentle, non-invasive, and convenient. The key is to be consistent, patient, and steady. There will not be any overnight results; therefore, you must give it time. Book your appointment for the anti-aging facial at Anna Esthetics, Tampa and attain beautiful, supple, firm, and youthful looking skin.